Совместимость: Требуется iOS 3.0 или выше. 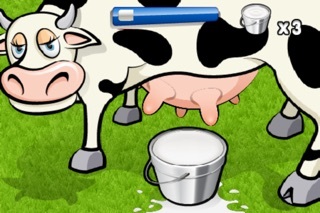 Milk the Cow (Lite) by SavySoda™ In Milk the cow, you have one task... 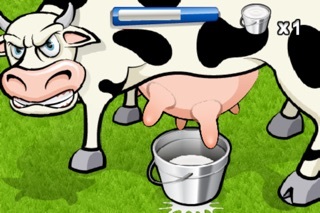 Milk the cow to death! 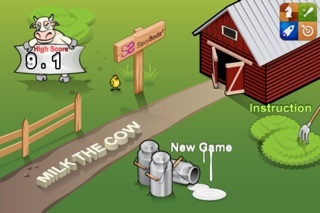 This is the simplest, most ridiculously funny game. Great for stress relief and surprisingly addictive! 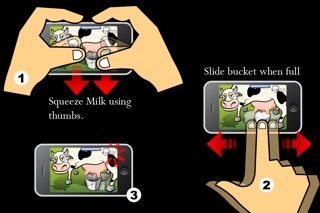 Simply squeeze the cow's breasts and see how many buckets of milk you can get in 30 seconds. 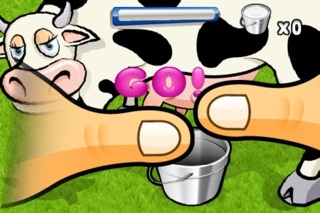 Complete with game center high score and achievement so you can challenge your friends!